Dealing with the balance of Chakra throughout the body is a spiritual journey channeling energy to the effected areas. The seven Chakra's consist of various parts of the body and mind. This music has been composed as an accompaniment to Chakra energy healing, allowing the listener to drift into a calm, relaxed state ready for treatment. 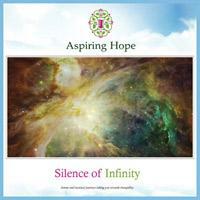 This featured album ‘Silence of Infinity’ is an audio only CD, with music composed to deliver a relaxing atmosphere suitable for use with Chakra healing. The calming music on this album can also be used to help relax and also to help with sleeping.